I have been thinking for a few days about which recipe to post first. I have so many easy recipes that I want to share with you, and the first one has to be REALLY special! 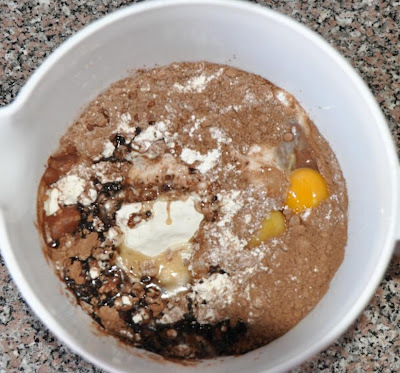 After much thought, I decided that the first recipe will be the chocolate cake recipe. Why? 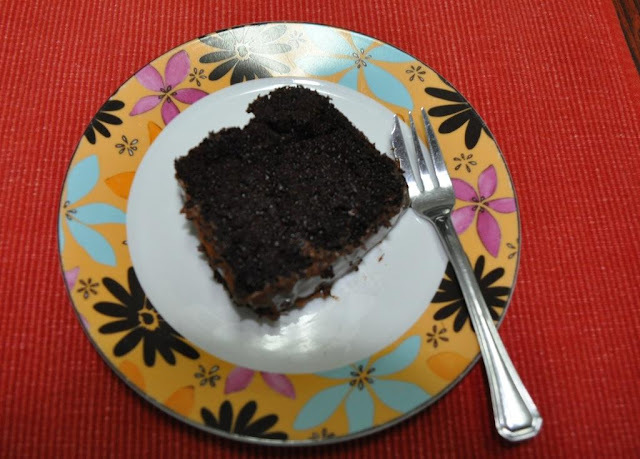 Because it is an easy recipe, and more importantly because chocolate cake is the first recipe I followed and prepared by myself. I learned to prepare chocolate cake when I was about 13 years old. It is such an easy recipe, that even at 13, it was a breeze! For years, this chocolate cake recipe was the only recipe I knew and it was my specialty. I love chocolate, and chocolate cake for me was the ultimate. At that time, I thought I could live on chocolate cake! Given my infatuation with chocolate cake, I have tried dozens of chocolate cake recipes, but this easy recipe still remains a staple in our home. These days, I use two chocolate cake recipes, and this is one of them. 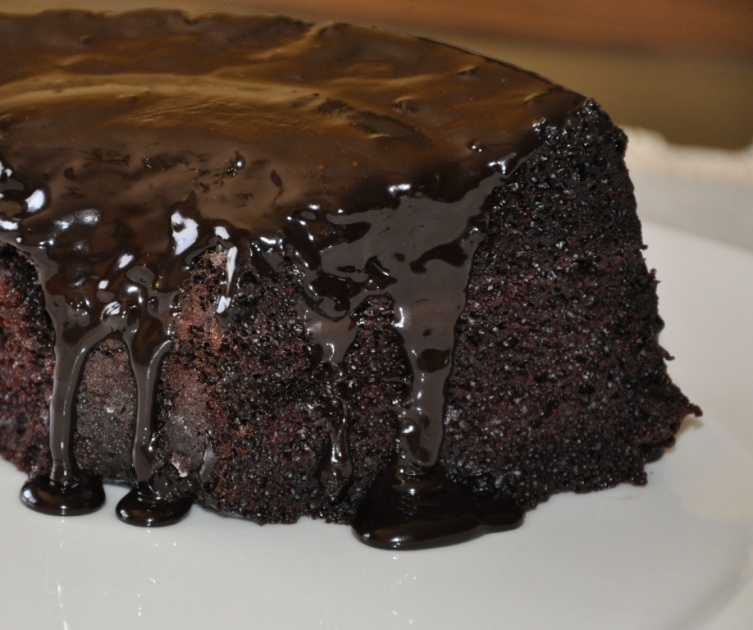 The texture of this chocolate cake is moist and very soft and fluffy. Put everything except the boiling water in a bowl. Mix at high speed until smooth with no evident lumps. Between 3 and 5 minutes. 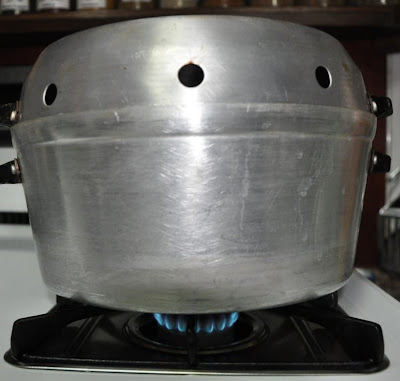 Add the boiling water and mix at low speed until water is incorporated. 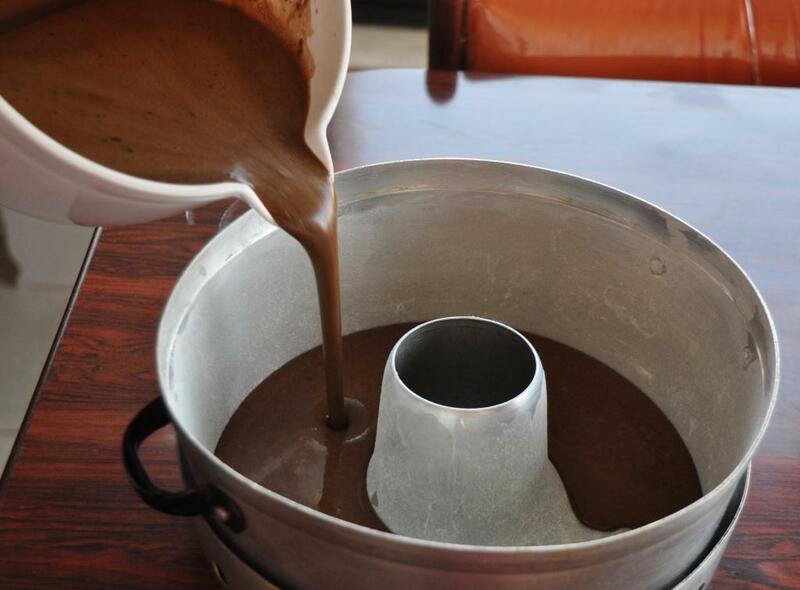 Be careful and mix slowly as the batter will be very watery and you don’t want to ruin your clothes! Check the picture below on how watery the batter is so you don’t worry that something is wrong. Pour in a greased and floured pan. Use a 23cm round pan (9 inch pan) or a bundt cake pan. Bake in preheated oven set at 350°F for 50 minutes. 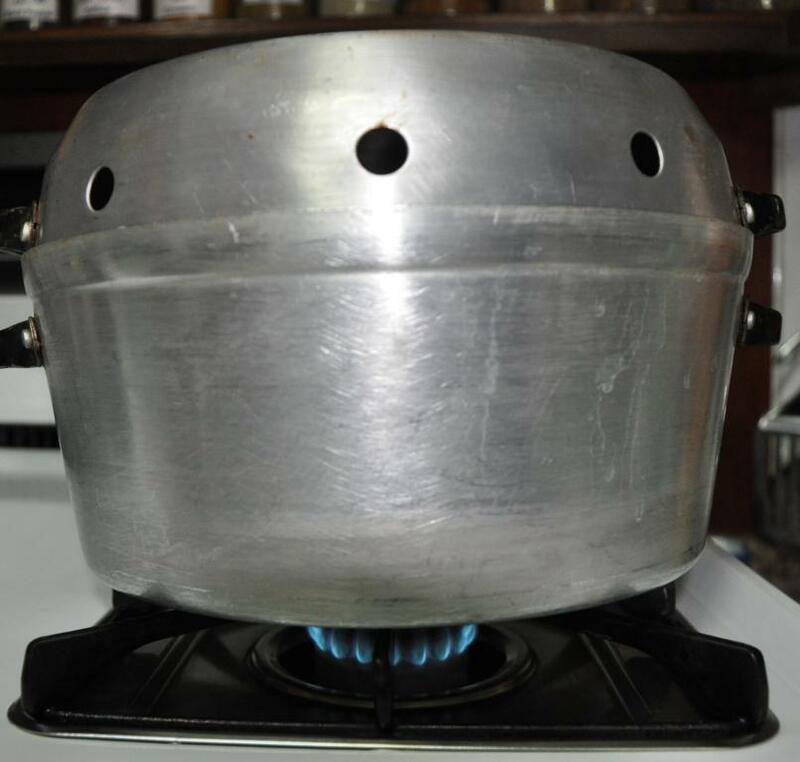 Personally, I bake my everyday cakes on the oven-top using this special pan. Check my tip: baking on the oven top to see how I do that. Frost with your favorite chocolate frosting or try my easy chocolate frosting recipe. 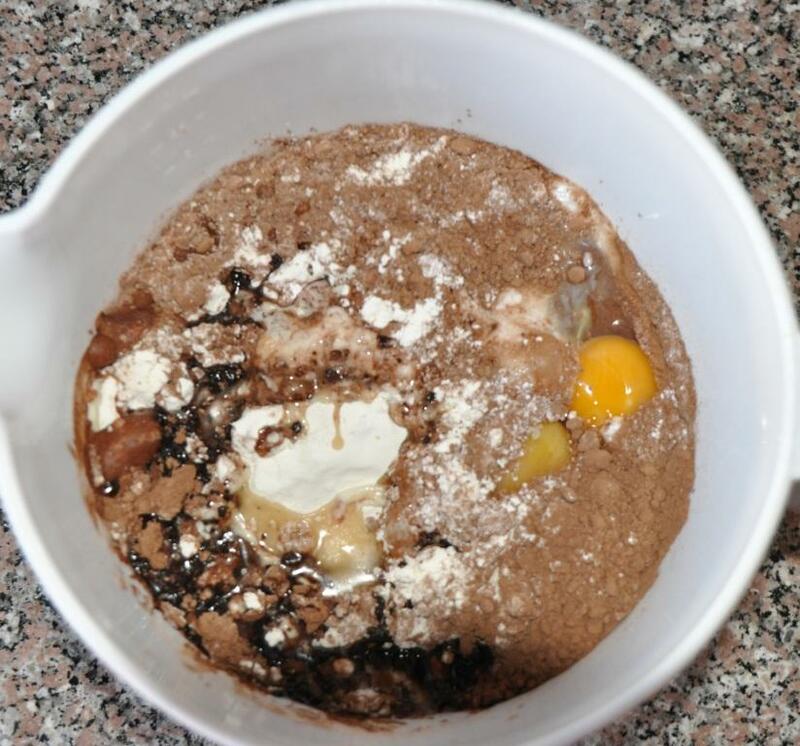 Hope you enjoyed today's easy sweet recipe: Chocolate Cake. Bon appetite! Do you remember the first recipe you did? Do you still use it?